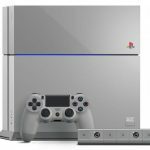 The PlayStation 4 is an all-round device for gaming and entertainment and the new PlayStation TV can now extend those abilities to the other TVs in your home. 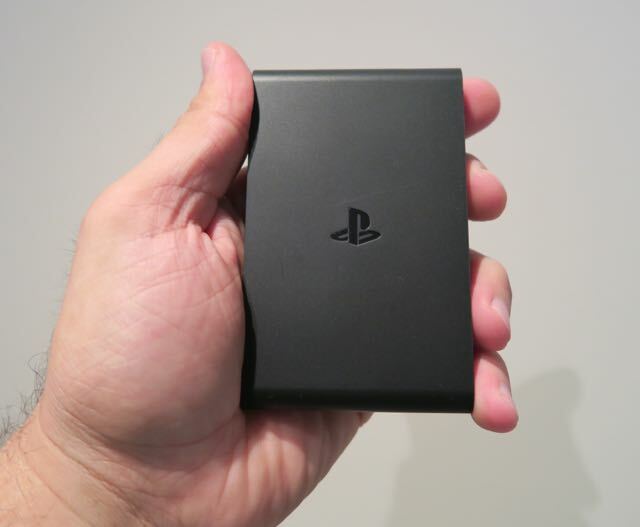 With PlayStation TV users can stream their PlayStation 4 games to stream to any other TV in their home. It will also you to play PlayStation Vita games on your TV as well. The unit is quite small – about the size of a deck of cards – and measures 7.6cm long, 4.6cm wide and 2.2cm thick. 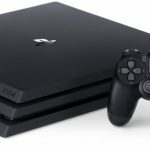 The device can be connected with a cable – either to your PlayStation 4 or to your router – to link it to your home network. It can also be connected wirelessly to your home network but we found this didn’t provide as strong or fast a connection to play games and stream content as a cable connection. Along the back of the PlayStation TV you’ll find a HDMI port, memory card slot, Ethernet port and a USB port. 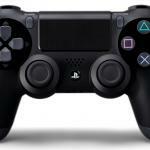 You can also link your DualShock controller from your PlayStation 4. When you switch it on you don’t see the PlayStation 4 home screen but a dashboard that’s almost identical to the PlayStation Vita with circular menu options that you can scroll with the controller. 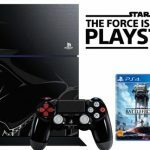 From here you can link to your PS4 as long as it’s on the same network. Once connected you can play the game from the console across the network to the TV connected to the PlayStation TV. Performance was surprisingly good with graphics just as good as playing them on the TV connected to the console. Lag was minimal and the main reason for that responsiveness was the fact we had a wired connection to our network. We tried this wirelessly and there was a noticeable drop in performance. It’s still playable but you’re not getting optimum performance. But if you’re a PS Vita player the experience isn’t the same quality and a bit more trouble to achieve the same thing. PS Vita games – which have to be downloaded because the actual game card won’t fit in the rear memory card slot – don’t look so hot when blown up for a bigger screen. That memory card slot in the back, in case you were wondering, is for the PS Vita memory card that carries your game saves and other content. There are free PS Vita games that come with PlayStation TV – Worms Revolution Extreme, Velocity Ultra and OlliOlli. Not all PS Vita games can be played on PlayStation TV so some of your favourites might be missing but there’s still more than 140 games in the library. 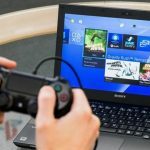 One of the reasons for these incompatibilities is because the PS4’s controller doesn’t have the PS Vita’s rear touchpad. You can also go back even further and play more than 200 PlayStation Portable (PSP) games and PS One titles as well. There are a lot of people who are going to compare the PlayStation TV with Apple TV and the Google Chromecast but that would be like comparing a cat to a dog. The PlayStation TV doesn’t do everything these other devices do and these other devices can’t match it with the PlayStation TV in some areas. If you want to extend the reach of your PlayStation 4 in your home, the PlayStation TV works nicely. If you’re mainly interested in playing PS Vita games on the big screen, it’s not ideal. You might as well enjoy all the games on the Vita’s screen at no extra cost rather than playing most games on the TV and paying $149.95 for the privilege.